•Public holidays: Locks are closed on some public holidays. •Hindeloopen area: Bridges/locks operate from 25th March to 31st October. Before 1st April, boating is possible in Friesland but locks/bridges are closed on Sundays. •Vinkeveen area: Bridges/locks between Vinkeveen and Amsterdam operate from the 1st April. Closed on Sundays 1st - 15th April and 15th - 31st October. The team will assist in making reservation for locks/bridges opening once the client has made his or her vacation plan. Please advise customers they will have to strictly respect the time schedule as the lockkeepers don’t wait for them if they are late. 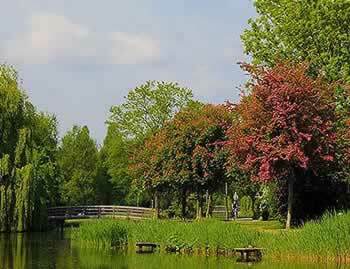 •All short breaks ending on Sunday should be back in Vinkeveen marina on Saturday evening – no late check out on Sundays. •Short break Friday – Monday: due to Sunday closure, late check out is manditory. You may moor alongside in the canals in ports. You’ll find marinas with shore power and other services. Small charges may apply. 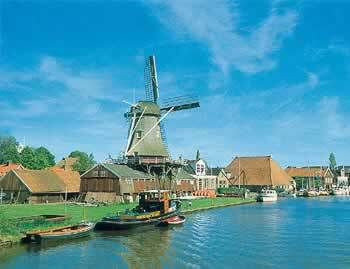 To visit Amsterdam coming from the East (Woudsend), moor at Weesp and take a train to the city center. To visit Amsterdam coming from the South (Vinkeveen), best mooring option is ‘’Six Haven’’. There is a ferry (free of charge, 24/7 service) who will take you to the central station. From here you can walk in about 10 minutes to the center of Amsterdam. The mooring costsin Six Haven depends on the size of the boat. For a 6 meter boat you pay €10,20, for a 15 meter boat you pay €29,60 a night.